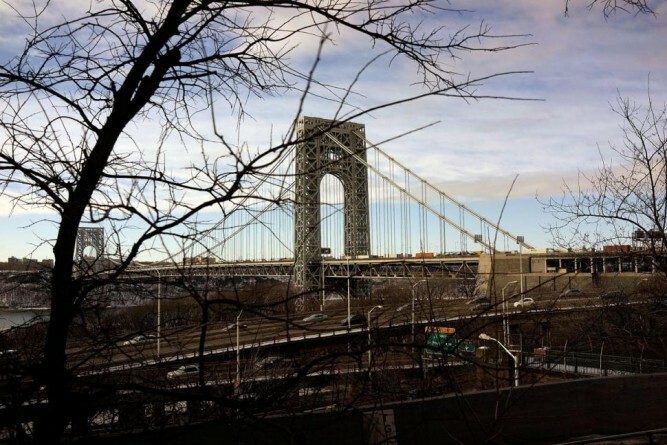 A man was in serious condition after he plummeted off the George Washington Bridge Sunday afternoon, police said. The man plunged from the bridge onto the Henry Hudson Parkway at about 1 p.m., according to NYPD and Port Authority Police Department officials. Emergency responders rushed the man to Columbia Presbyterian Hospital, a spokesman for the Port Authority Police Department said. The man was listed in critical condition, police sources said. It was not immediately clear if the man jumped or fell from the bridge.